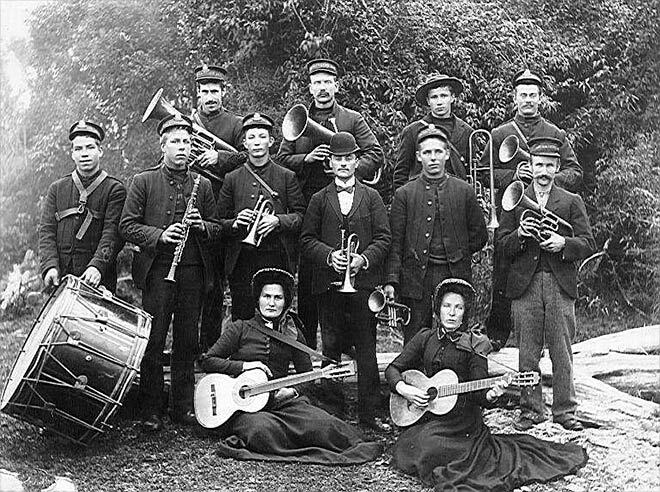 The Levin Salvation Army Band, pictured around 1903, is unusual as it includes guitars, rather than being purely brass. Salvation Army bands achieved a high musical standard, but their aim was always to use music to draw people to the Christian gospel. They only played music from the book approved by the Army's London headquarters, and did not enter into band competitions. The Salvationists encouraged women musicians to join their bands.